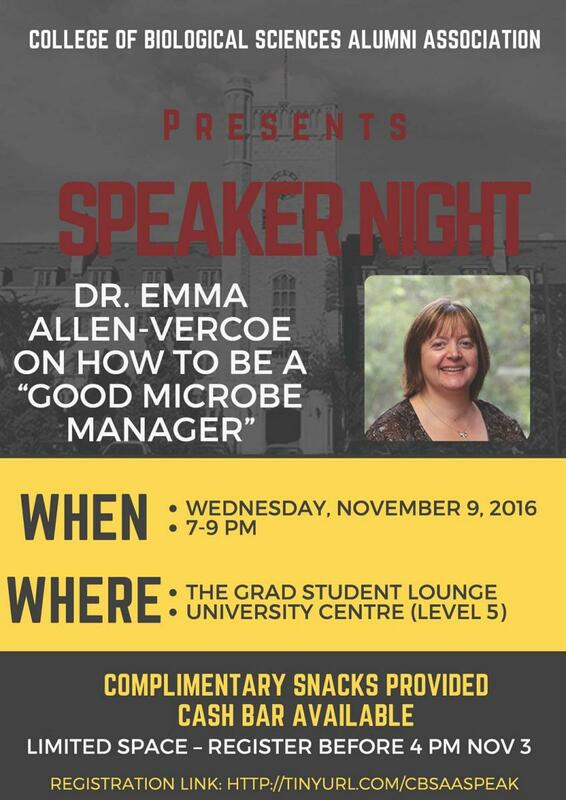 Join alumni and friends at the Grad Lounge in the University Centre from 7 pm to 9 pm for the CBSAA Guest speaker, Dr. Emma Allen-Vercoe  will speak about the human gut and how to be a “good microbe manager”. Complimentary refreshments will be available. Space is limited. Registration now closed.